Happy Birthday Disney’s Hollywood Studios! The park officially opened on this day in 1989. Of course, one of the most unique things about DHS is the restaurants, both counter service and table service. They all take on unique themes that relate back to the original theme of the park…a celebration of Hollywood. 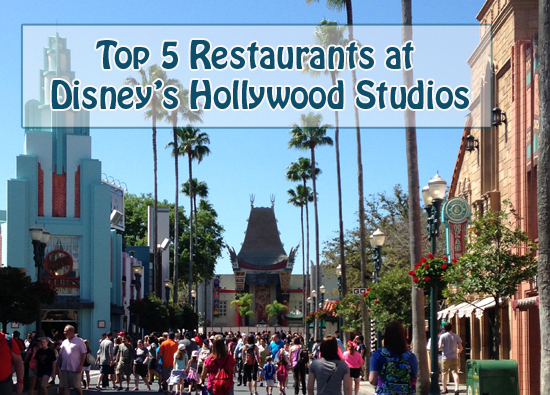 So today, I thought I’d celebrate this wonderful park with a look at the Top 5 Best Restaurants at Disney’s Hollywood Studios. Sci-Fi Dine In: Sci-Fi has been known as a place where you go, maybe get a few appetizers, grab a shake, and watch some fantastically bad B-movies. You get to sit in old classic cars in this wonderful night time drive in setting, which is what makes this experience classic Disney’s Hollywood Studios. 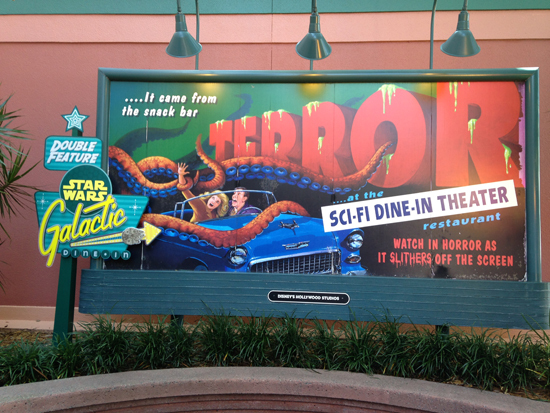 Sci-Fi takes a more or less classic theme park restaurant (based off the food options…burgers and fries) and creates an experience that can’t be beat. 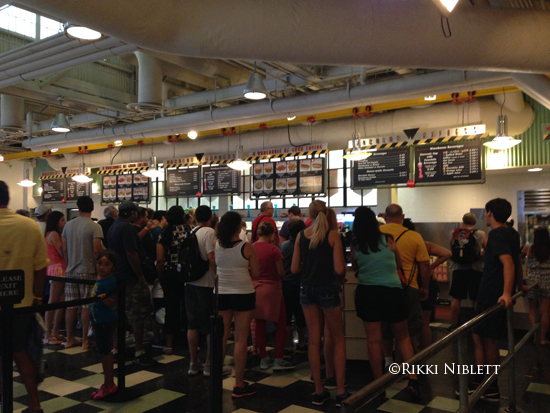 Backlot Express: Backlot Express is another classic theme park dining experience. Again, you have choices like burgers, hot dogs, and fries, but what makes this restaurant one of the best ones is again, the theming. (You’ll quickly see this is a trend at this park.) 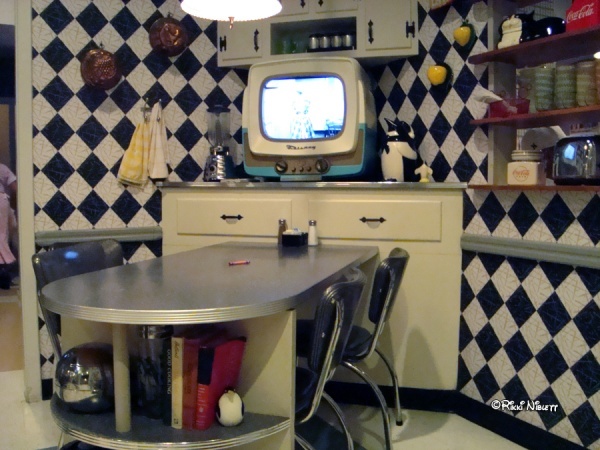 The restaurant, which originally tied directly into the theme of the park’s original ideology takes guests to the backstage area of a set and shows guests what “really goes on” behind the scenes. You’ll see painting set ups, set building, and more. It’s like you are in a workshop at the production company. Make sure you don’t just dine here, but also explore the vast amounts of details that can be found here. Hollywood Brown Derby: The Hollywood Brown Derby is one of the best theme park restaurants you’ll find. The food is spectacular and the experience is one of elegance. 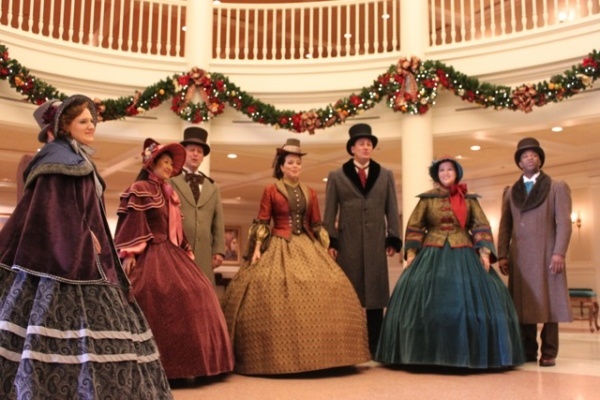 But don’t worry about being underdressed; it’s more of a casual elegance. (You are in a theme park after all.) 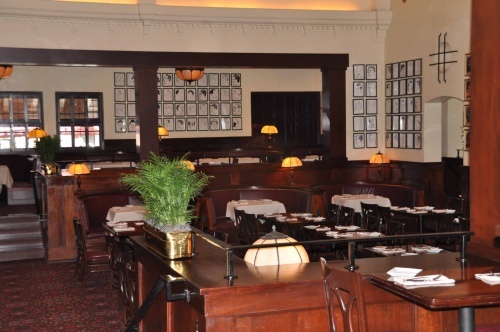 The Brown Derby offers the infamous Cobb Salad and Grapefruit Cake, plus many other delights that tempt the taste buds. Looking for a bit more relaxed feel, try the new outdoor lounge area. It’s perfect for dining alfresco. 50s Prime Time Café: One of the best restaurants, hands down, to me, at the park. The theming, again, is top notch. You are in your mother or grandmother’s kitchen and the walls and furniture reflect it. Plus, you are getting to dine on good old home cooking. It doesn’t get much better than that! With options such as Pot Roast, Fried Chicken, and Meatloaf, 50s offers comfort food to the max. It’s also great that you are served by your cousin, aunt or some other family member you didn’t know you had. So, that’s my list of the best of the best at Disney’s Hollywood Studios, but I’m sure I have a favorite of yours that I skipped. Or you want to share your thoughts on one of my choices. Let’s converse in the comments section, shall we? 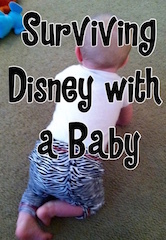 I’m Going to Walt Disney World! But How Do I Start to Plan? I have to disagree with The Brown Derby with an explanation. 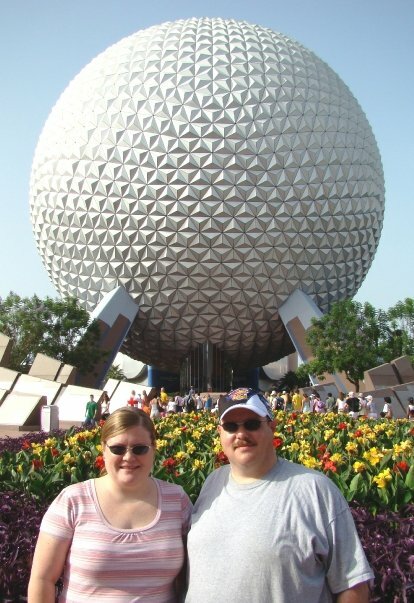 We booked a meal at the Brown Derby based on reviews I had read online and because it was one of the 3 restaurants listed in the Fantasmic dining package. If your kids are picky eaters, I would avoid this restaurant, period. I think they have updated them menu since we were there, as I don’t remember seeing penne with marinara. But, even with that “addition,” I can’t recommend TBD. The service was extremely slow, especially considering that there was hardly anyone else there and the food was just OK and only lukewarm. One restaurant that I would ABSOLUTELY recommend is Hollywood and Vine. We had breakfast there and the Disney Junior Play ‘n Dine was fantastic. The food, even though it was a buffet, was fresh and delicious and the Play ‘n Dine activities were a blast for both kids and parents. My kids weren’t really even “in to” the characters’ shows (Jake, June and Oso), but still had a great time.